The hotel kindly accommodated our request to check in later (8-9pm). As it was a Friday night they were busy with restaurant guests when we arrived, so I now understand why they prefer you to check in before 6pm. The food smelled lovely - wish we could have come early enough for dinner. The rooms were very clean. The hotel was very comfortable. We arrived a bit late for dinner but that wasn't a problem. We had a lovely meal with an excellent bottle of wine - the menu was just perfect. The breakfast was also perfect. Traditional French and very good. Einfaches Landhaus ohne unpassende oder übertriebene Ansprüche, dafür regionale, sehr gute Küche. Wir hatten uns für das Froschschenkelessen entschieden. Es war noch besser als erwartet. Insgesamt alles sehr sauber, die Wirtsleute sind sehr engagiert. Die negativen Bewertungen können wir nicht nachvollziehen, denn gerade im Speisesaal war der persönliche und aufmerksame Service außergewöhnlich. Mooie omgeving, rustig en mooie natuur. Fijn personeel en goed eten. Excellent emplacement très proche du château de Varennes où nous étions invités à un mariage. 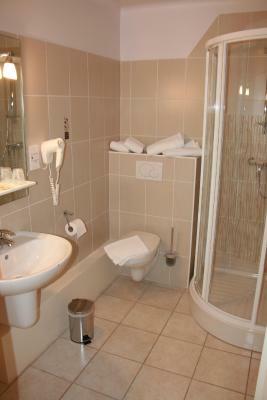 Chambre de bonne taille, literie confortable, grande salle de bain. Très calme. Parking devant l'hôtel. Located between Dôle and Chalon sur Saône, 5 minutes from Pierre de Bresses castle, the hotel offers the charm of a large house of Bresse region on the waterfront. The Doubs Rivage offers comfortable rooms with a simple decoration. Discover the specialties of our region. 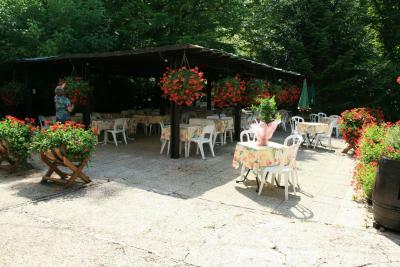 We invite you to taste, in the dining room or the terrace, the pochouse, frogs, and the famous Bresse poultry. The area offers many activities such as excursions in the Bresse region. This property also has one of the top-rated locations in Charette! Guests are happier about it compared to other properties in the area. This property is also rated for the best value in Charette! Guests are getting more for their money when compared to other properties in this city. 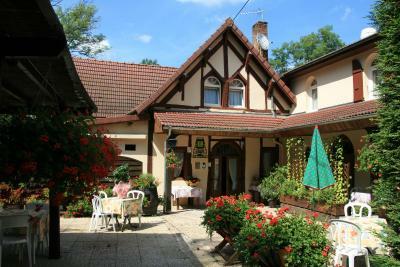 When would you like to stay at Logis Doubs Rivage? House Rules Logis Doubs Rivage takes special requests – add in the next step! Logis Doubs Rivage accepts these cards and reserves the right to temporarily hold an amount prior to arrival. The rooms were pretty basic and as a family of 5, we had to have two rooms which made it quite expensive for an overnight stop. We chose not to have breakfast at €10 each and instead went to a bakery.